She really like ninja on me. It takes me a minute to realize that she is really Hyomin. 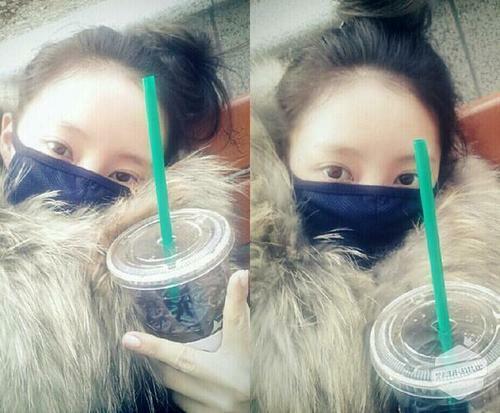 Instead of t-araholic I read alcoholic and thought to myself, "What is Hyomin doing!?" not only that, but the photo had a drink in it. Ahhh misreading... She looks good though. Hope she feels better soon ^^!